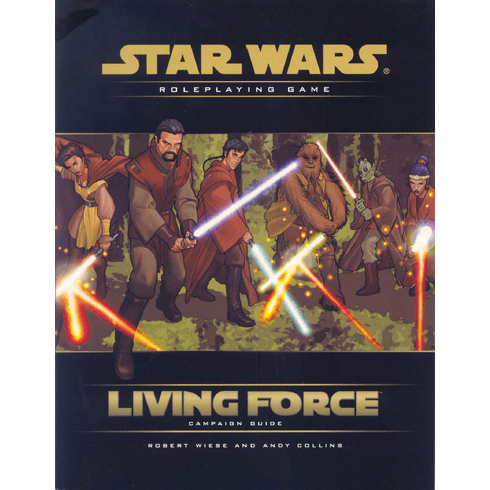 Star Wars RPG Living Force Campaign Guide is an ideal way to become involved in the RPGA, but it can also be used as source material for an independent Star Wars roleplaying campaign. Members from all over the world create characters that move from adventure to adventure and game convention to game convention, as well as from RPGA event to RPGA event. All of the action takes place in the campaign setting described within the pages of this book, but the campaign itself grows as the members develop it. 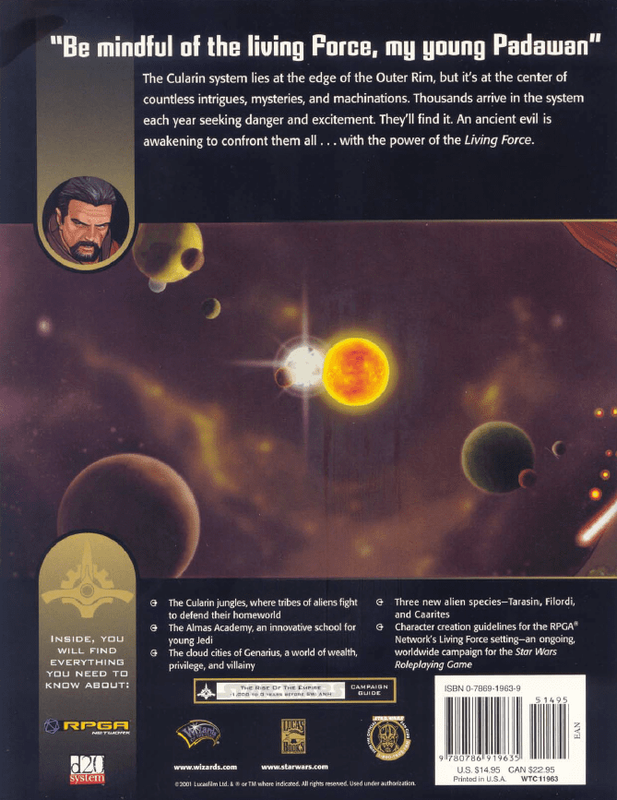 The Campaign Guide details a star system in the Star Wars galaxy, complete with planet descriptions, important non-player character profiles, various interplanetary organizations to join (or fight against! ), a Jedi academy, and more. 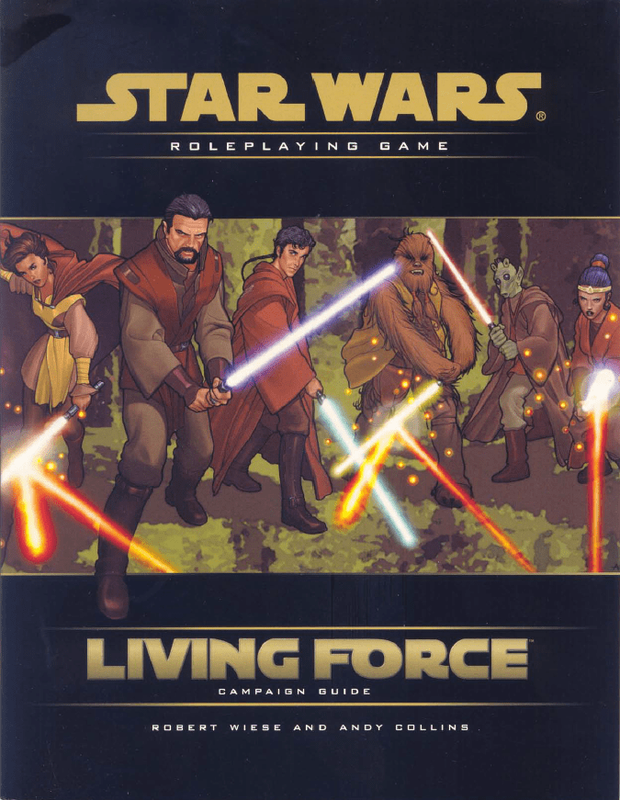 Rules for generating a regulation character and getting involved in the official RPGA Living Force campaign are included.